Bursting with mouth-watering pineapple and coconut cream flavor, the piña colada is a drink that's made for sipping while you lounge on the beach. With Margaritaville® Frozen Concoction Makers®, however, you can bring paradise home and enjoy perfect, restaurant-quality piña coladas right on your back porch. While the classic piña colada is always a solid choice, why not have some fun experimenting with flavors? 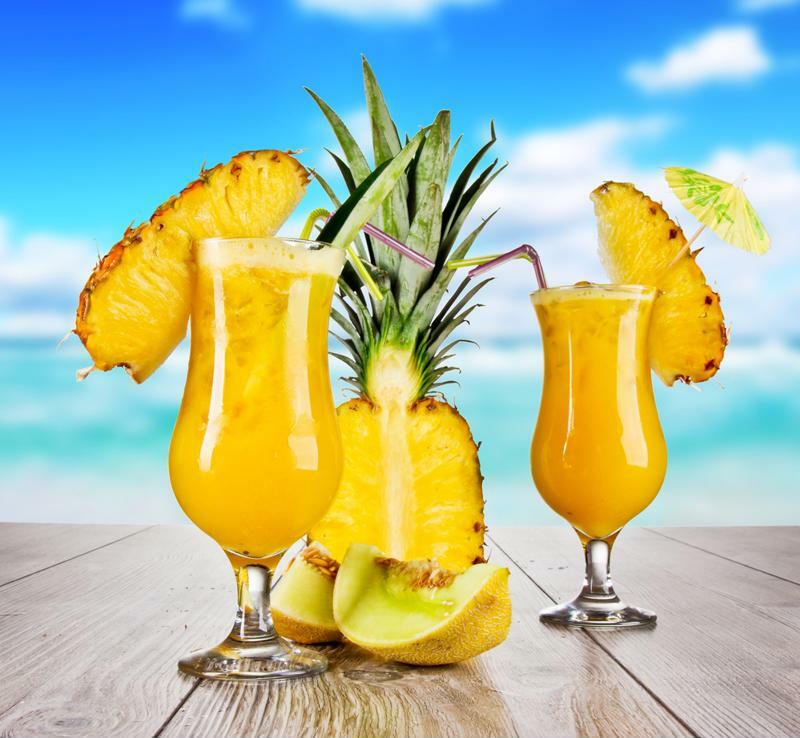 There's some tasty ingredient twists and add-ons you can try to take your piña colada experience to a whole new level. Pineapple and mango are such a delicious pair - both super sweet, juicy and big on tropical flavor. The addition of mango gives the standard piña colada a hint more depth, making this recipe a must-try. Add ice to the ice reservoir and all remaining ingredients to your Margaritaville® Frozen Concoction Maker® glass jar. Concoct and pour into glasses. Garnish with mango chunks and pineapple slices and serve. Put a fun twist on the classic piña colada. Berries and cream is a classic flavor combination for a reason - it's the perfect blend of sweet, sugary taste and just a hint of juicy tartness. Use the delicious duo in a piña colada for a whole new taste sensation that's sure to become a new favorite this summer. Add ice to the ice reservoir and all remaining ingredients to your Margaritaville® Frozen Concoction Maker® glass jar. Concoct and pour into glasses. Garnish with a sprinkle of fresh berries and serve. Pineapple, coconut and banana - does any collection of tropical flavors sound dreamier? Banana is a natural fit for giving the classic piña colada a hit, as its mouthwatering flavor blends perfectly with coconut cream and rum. Add ice to the ice reservoir and all remaining ingredients to your Margaritaville® Frozen Concoction Maker® glass jar. Concoct and pour into glasses. Garnish with banana and pineapple slices and serve. Chocolate in a piña colada? Sign us up! Sweet chocolate syrup works wonderfully in a piña colada, adding a touch of decadence to your flavor experience in paradise. This recipe makes the perfect dessert-inspired frozen concoction for a party. Add ice to the ice reservoir and all remaining ingredients to your Margaritaville® Frozen Concoction Maker® glass jar. Concoct and pour into glasses. Garnish with a swirl of whipped cream, a sprinkle of chocolate shavings and pineapple slices and serve. Tart and tangy with bold citrus flavor, blood orange is a tasty addition to the standard piña colada. It's utterly thirst-quenching and just the kind of frozen concoction to relax with on a hot summer's day. Add ice to the ice reservoir and all remaining ingredients to your Margaritaville® Frozen Concoction Maker® glass jar. Concoct and pour into glasses. Garnish with blood orange wedges and pineapple slices and serve.